Did a nice 18 miler on Sat. It was warm out so it made the run much more enjoyable. 10 weeks down only 6 weeks till race day. 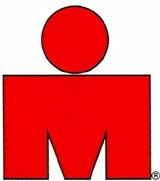 I am doing a Half Marathon this Sunday March 15th. This will be a good tune up for Boston. More to come this week. Enjoy and Happy Training. WOW...6 weeks till Boston...seems like just yesterday you ran the Marathon...my how time flies. Great running...how was the race on Sunday?? ?